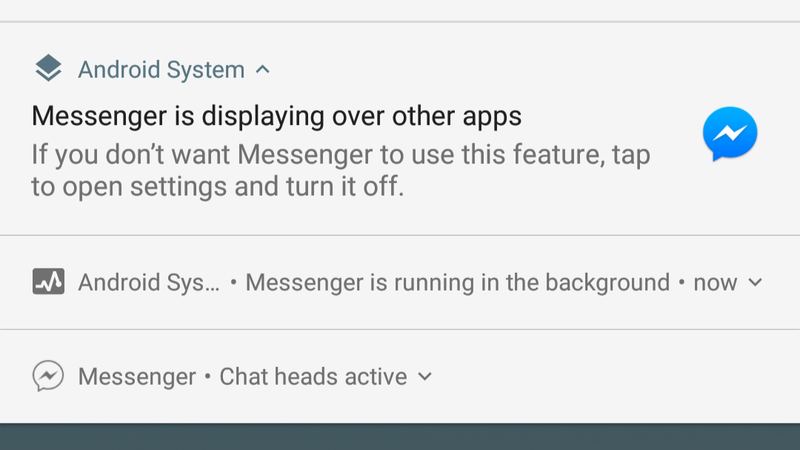 Android O's first developer preview brought us screen overlay notifications. 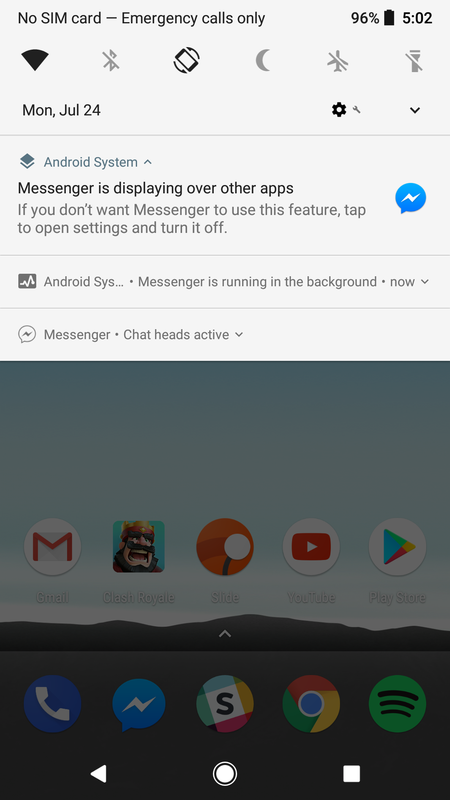 These are sometimes helpful, but they're also rather annoying for apps like Facebook Messenger that use chat heads. Today's release of the fourth and last O developer preview allows users to hide that notification, although there are still some other annoying ones that can't be hidden. left: Three annoying notifications. 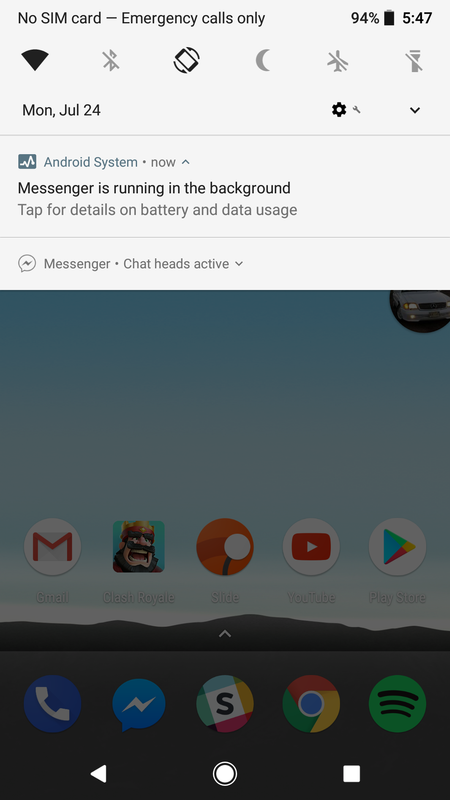 right: Two annoying notifications. 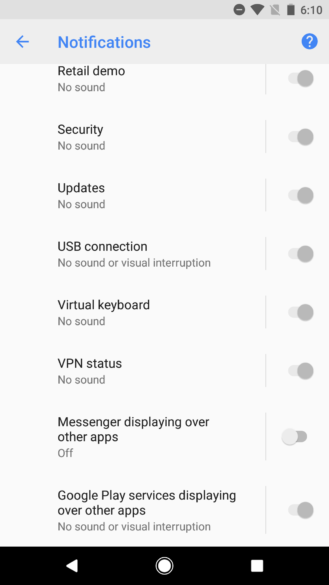 The notification that can be hidden is the "[App] is displaying over other apps" one. 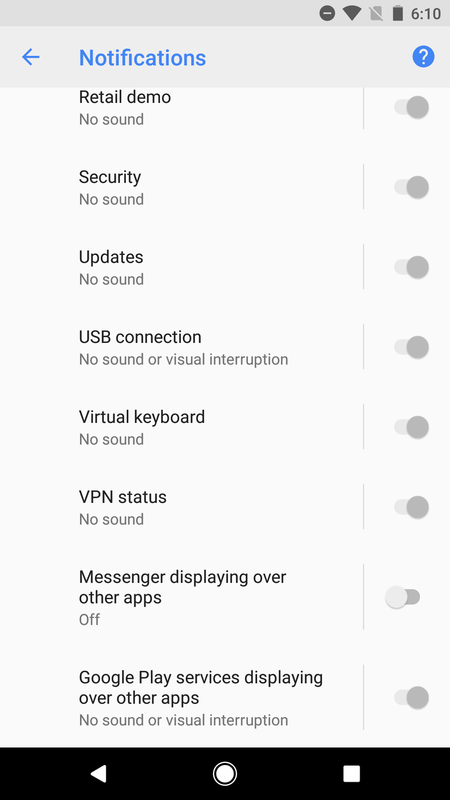 To disable it, go to "Apps & notifications" in your settings. 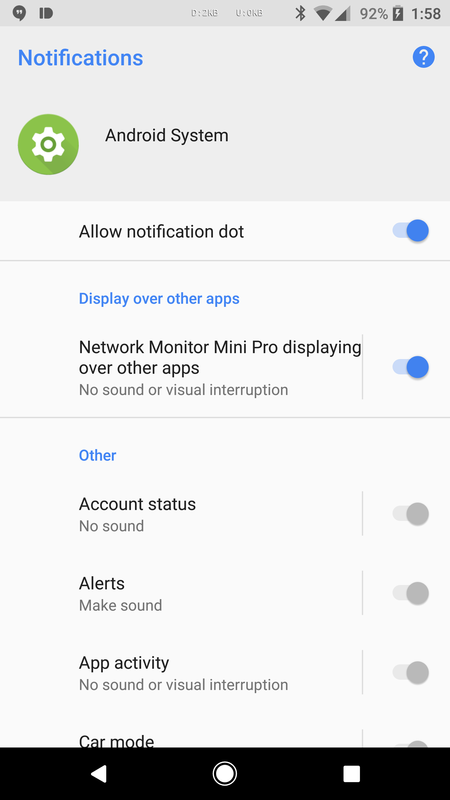 From there, tap on "App info," then "Show system" in the three-dot menu on the top right, then "Android System," then "App notifications." 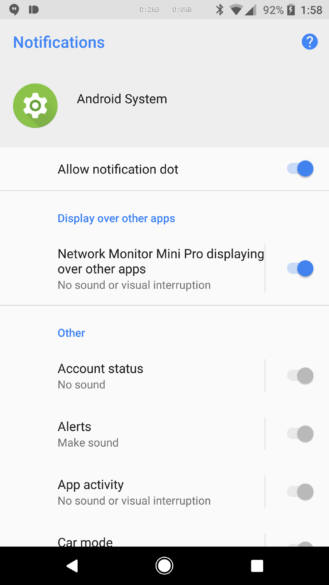 Here, you'll be able to turn that pesky notification off. If the app is currently providing an overlay (like on Artem's phone in the screenshot on the right below), then it'll appear near the top. If it isn't, you'll have to scroll down to turn it on/off. It's worth noting that only that particular notification can be hidden, which means that you'll still be stuck with the "[App(s)] is running in the background," as well as the app's own notification (in Messenger's case, "Chat heads active"). But hey, two useless notifications is better than three, right?